BOTOX® Cosmetic, produced by Allergan, Inc., is a therapeutic muscle-relaxing agent derived from the bacterium, Clostridium Botulinum. The FDA has determined BOTOX® Cosmetic is appropriate as a treatment to correct the visible signs of stress and aging. As an expert in all aspects of the head and neck, Whitney at East Cobb Rejuvenation is detailed in all applications of Botox injections for cosmetic uses. What are these anti-wrinkle treatments like? 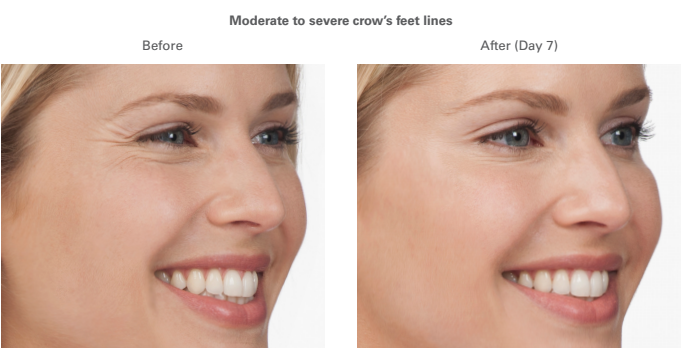 With a very fine needle, BOTOX® Cosmetic is injected into the specific muscle that is contracting and causing the lines and wrinkles on the face. Treatment for wrinkles is safe and effective. The pain is a minimal and no topical anesthetic is required. How long does a wrinkle removal treatment last? The effects usually last 3 to 4 months and fade away gradually. BOTOX® injection treatments offer extended relief over the course of long-term treatment and progressively the intervals between visits can increase. Are there any possible side effects from the injection? Side effects of BOTOX® treatments, if any, are usually mild and temporary. Botulinum toxins contain proteins, which in some circumstances may be naturally safeguarded against by the body’s ability to produce antibodies. If antibodies are formed, the therapy will generate a lesser response. Temporary bruising is sometimes experienced, though this symptom resolves itself within 2 to 3 days. In rare cases, there can be a slight drooping of an eyelid or asymmetry of expression. If this should happen, notify us at East Cobb Rejuvenation. Typically, the maximum effect of a BOTOX® wrinkle reduction treatment is visible 7 to 14 days. Once the muscle becomes dormant and the skin softens, you will have a more relaxed and youthful appearance. Maintaining regular follow-up visits and appropriate skin care treatment will help preserve your youthful appearance. If you are interested in learning more about Botox or to schedule your consultation please fill out the form on this page or call East Cobb Rejuvenation at 770-771-6865.